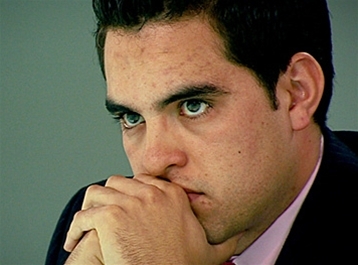 Last week on The Apprentice, Adam in part survived the boardroom with a plea to let him be project manager the next time to prove himself. True it gave him one more chance, but unfortunately the gamble didn’t pay off, and he found himself on the loosing side by a grand total of 97p. This weeks task was a Sugar favourite where each team is given identical lists of items, and have to obtain them for the cheapest amount possible. As a task it tests a variety of skills including negotiation and time management. It is also covered by some fairly strict rules. Firstly, the only source of information is the Yellow Pages – so specifically you can’t go looking things up on the internet, even thought the teams have internet capable smart-phones. Secondly, you have to negotiate the price down, you can’t go with the initial asking price. Thirdly, if you fail to obtain one of the items, the team will be fined Â£50 plus the estimate value of the item. Finally, if any members of the team return to the boardroom after the 6pm deadline, the team will be fined Â£50. Both teams picked up fines, Eclipse for failing to negotiate on a price – for one item the trader refused to meet their price, but offered them a batch of seconds at a fixed price which they accepted, and Stealth for failing to obtain one of the items. Bear in mind that they did have a supplier for the item, but couldn’t get there and back in time for the 6pm deadline. Of course if they had remembered the rules and realised that the fine would be less for arriving late, they would have won… Hindsight is a wonderful thing! Ironically the reason that they left it so late was because of the item on the list to catch the teams out – Nigella Seeds. They are known by a number of different names, and with a few moments on the internet you can look up the different names, however without the internet both teams were left scratching their heads as to what they actually were. There were some truly bizarre suggestions put forward, including Adam suggesting that they were something to do with artificial football pitches! Ultimately though, once it was clear that stealth had lost, it was a foregone conclusion that Adam was going to go, as this was his fourth successive visit to the boardroom. Unfortunately I think this was a little unfair. Whilst the first and fourth times were due to him being project manager, the intervening two visits were as much to do with Adam not being liked by the other candidates. This came out again in the boardroom with Katie in particular making it absolutely clear that she wanted him gone. As before, she saved the really venomous comments for the one-to-one interviews, this weeks alienating a large part of the country by saying that Adam should head back to the north – snobbish? Certainly seems that way. There was also the interesting alliance of Katie and Kristina who put aside their differences as far as Adam was concerned in order to get rid of him. Quite how long the truce will last remains to be seen. Interestingly, even though it was pretty clear that Adam was likely to go, not least for the decision not to go and get the Nigella Seeds, it did seem like there was a possibility that Sugar could give Katie the boot instead. This is the first time she has been in the boardroom, and if she is even half as unpopular as she is with most of the general public, I definitely think she’ll be on the way out – Sugar made a number of comments about needing to think about how the winner will fit into his organisation – certainly being too forceful has been shown in the past to thoroughly put him off. Anyway, it’s a bit of a change of tack next week, with an advertising task. A repeat of the hilarity of the private jet task last year? We’ll have to wait and see. In the mean time, as Adam has said on every appearance since he was sacked, he is looking for a job – check out his website at www.adamhosker.co.uk.